Richard, what events in your career led to your founding Snow Capital Management? Not long after my graduation from business school in 1980 my family sold a business which we had built from scratch during the sixties and seventies. The sale yielded a significant amount of money and for the first time my family had substantial assets that required professional management. I had a background in accounting and always had a passion for equity research. As a result, my family decided that I was as qualified as anyone to manage our portfolio. During the next several years, I developed and implemented a process that, fortunately, enabled me to substantially outperform the market on a consistent basis while assuming, I believe, significantly lower risk. At what point did you decide to manage more than just your family’s investment funds? There were several advisors to the family- attorneys and accountants- who were privy to the type of performance I was achieving with the family’s investments. By the early nineties some of these people began to approach me about managing money for them and some of their clients. Being somewhat naïve I literally called up the SEC in 1992 and asked them what I needed to do in order to manage other people’s money. This led to becoming a Registered Investment Advisor. Then I began to take on some outside clients but strictly on a referral basis. I never made any kind of proactive attempt to market my service until 2001. At that time my firm had grown asset wise to the point where I needed to build an organization and marketing became a part of that infrastructure. What is your overall investment strategy? I consider us to be a classic value shop. We have been described as both “deep value” and “contrarian”. I would not necessarily disagree with either assessment. We try to find companies that have been oversold by the masses in reaction to some negative event or development that is likely to be temporary in nature and ultimately correctable, if handled well by management. If we are comfortable with the company’s capitalization structure and the management’s plan for transitioning the company through whatever difficulty it is experiencing and returning the stock to a proper valuation level, it becomes a potential buy for our portfolio. We try to determine normalized earnings and assign a normalized PE to the stock. At the end of the day we are really looking for two things, increased earnings and of equal, if not greater importance, PE ratio expansion. We feel the latter is as much a function of psychology as it is anything else. We try to identify situations where some catalyst exists that is likely to change investor perception of the stock and result in valuation expansion. Please tell us a little bit about your performance? My audited track record, in our All Cap Value product, dates back to January of 1992. Since that time we have beaten the S&P 500 Index, on average, by approximately 1000 basis points annually. We feel that is significant value added especially considering we have taken, we believe, below average risk in achieving those returns. Going forward, we think our process can continue to yield substantial out-performance in a prudent and tax-efficient fashion. What influenced you to take this particular investment approach versus others? When I initially took control of my family’s investment portfolio my charge was to protect the principal. Growing the assets in a prudent fashion is almost a secondary objective. It’s a close second but second nonetheless. As a result the value style of investing intuitively seemed like the most prudent way to grow capital in the equity market without taking undue risk. This principle of capital preservation still drives the process at our firm some twenty years later. How many stocks do you screen and how many end up on your “buy” list? At any given time we are probably following upwards of 100 stocks. We tend to own between 35 and 40. The balance tends to be evenly split between stocks we have owned in the past and are continuing to monitor for possible redeployment to the portfolio as well as brand new companies that we are following for potential purchase. What goes into your fundamental research? Our entire process is driven by a strong focus on the balance sheet. We never invest our client’s money in any overly leveraged companies. We look for strong, free cash flow, low relative debt to asset ratios, high tangible book value, and solid sales growth among other metrics. While we focus on the published financial reports, there are other important facets of the research process. We talk to management frequently and participate in all conference calls. We make extensive use of a well-developed diverse network of industry analysts and executives, some of who are our clients, which provides indispensable macro information and industry background. We also frequently talk with key customers, suppliers and even competitors to get as good a sense as possible as to how the company is positioned. The whole idea is to find companies that not only have a sound plan for repositioning themselves but also the financial wherewithal to successfully implement the plan. Focusing on the balance sheet has allowed us to identify such opportunities while limiting the downside risk when the transition fails to go as anticipated. Are you able to find “out-of-favor” stocks in all market cycles? Typically yes. While it is easier in some environments, we can always find 35 to 40 companies that are worth owning. As stock pickers we adhere to a strict bottom up approach and tend not to become consumed with what cycle the overall market happens to be in at any given point in time. While we obviously pay attention to the macro environment, it does not drive the day-to-day research and portfolio construction process at our firm. We would buy the same 35 plus stocks regardless of where we think the S&P or the Russell indices will be three to six months from now. As a result we stay 90% plus invested at all times. Again we are stock pickers not market timers. Sticking to this discipline has been responsible for our long-term success. How long are you willing to wait for a stock to recover that meets your criteria of being “under-valued”? We tend to take a fairly long-term view of our investments. This is a byproduct of the fact that the majority of the assets we manage are in taxable accounts. As a result we actively manage for tax efficiency and we have extremely low portfolio turnover. As long as there is no balance sheet deterioration and all the factors that led us to buy the security in the first place remain valid we are prepared to wait a reasonable amount of time for the stock to reach what we consider to be a proper valuation level. I have no magic time limit in mind when we buy a stock but it is not unusual for us to stay with a position for over three years. Some situations take longer to turn around than others. Do you do all your own research or do you also use outside sources? We do all our own research. While we certainly have access to all the street research we could possibly want, we tend to use it as a contrary indicator. Outside research can be useful in giving us background information on certain sectors and industries, but we do all company specific research ourselves. This is not to say that there is no value in outside research. These industry analysts are very smart people and in most cases they know more about the various industries we invest in than we will ever know, but many times they are so focused that they cannot see the “forest through the trees”, so to speak. The problem with street research, as it applies to individual stocks, is that most analysts want to wait until all the proverbial planets are aligned before putting out a buy recommendation. At that point it’s too late. Most of the upside is already priced into the stock. The trick is to buy good companies when nobody wants them. At that point they only have one way to go. As I said before, we employ a number of fact-finding exercises beyond just the published financials; but honestly, most of what we need to know is right in the 10K, and 10Q’s. Does your approach work only for individual stocks or do you ever find whole sectors that appear to be good values? While we don’t really make sector bets per se, you will find certain recurring themes throughout the portfolio; however, this is not by design. As I said earlier, this is entirely a bottom up process. Nothing we do is top down. However, what typically happens is that as we research a particular stock that comes across out radar screen we will also take a look at some of the company’s peers in that industry group. Often times one or two of those names will become attractive to us as value plays in their own right and end up on our buy list. For example, we currently have several positions in the insurance and reinsurance business. It started with us doing research on American International Group (AIG) when the stock fell out of favor a couple of years ago. We ended up buying the stock, which is in the portfolio today. We also ended up buying several other stocks, particularly on the reinsurance side. We currently own Endurance Specialty Holdings, Aspen Insurance Holdings., IPC Holdings and XL Capital in that space. However, it is important to note that we did not wake up one morning and decide we needed to put a certain percentage of our portfolio in insurance, it happened as a by product of bottom up stock picking. We have made significant investments in other sectors such as healthcare, agriculture and energy, among others, in much the same fashion. How do you construct portfolios to achieve your desired diversification? As previously discussed, we always own approximately 35 stocks. We try to spread these out evenly over at least a dozen relatively unrelated industry groups. While some sectors will be more heavily weighted than others, we will never allow any one industry group to become more than 25% of the portfolio. In reality a 15% to 20% exposure to any one industry is pretty high for us. For example, right now our largest industry allocation is in insurance and that is currently about 17% of the portfolio. Our second largest is in the consumer discretionary sector and that is currently less that 12%. As far as individual securities are concerned, we try to give each position an equal weighting of approximately 3% when we initially construct a portfolio. There are two exceptions to this rule. If we happen to like a stock that has a market cap under $1.5 billion or a stock price under $5, we will only take a half position or approximately 1.5%. This is due to the inherent price volatility of these kinds of stocks, which at any given time typically comprise 3 or 4 positions in the overall portfolio. So each stock typically starts out as a 3% position. We really do not like to let any one position grow to more than 7% or 8% of the overall portfolio. When this happens we will either get out of the position or, more typically, pare it back to a 3% or 4% position, if we still like the stock. What makes your approach different from other value style managers? I began this firm as a vehicle for managing my own money and as we sit here today, I still manage my client’s money in the same way. I still view our primary responsibility as preservation of capital. I think many other managers are worried primarily with relative performance while our focus is on absolute return. Also, we are not disciples of the “style box religion” that has been created over the past two decades. It has always seemed counter-intuitive to me, in managing my family’s investment portfolio, to force myself to stay within the parameters of some market cap style box. I believe I should be able to purchase value wherever my process takes me, whether that is in the large-, mid-, small- or even micro-cap marketplace. Therefore, we run what is truly a multi-cap or all cap portfolio. To not buy a stock that I have researched and feel to be an excellent value because it only has a $5 billion market cap as opposed to a $10 billion market cap seems silly to me. I believe that it is this kind of flexibility that has enabled us to extract the significant alpha from the market and enjoy the success we have over all these years. So, to sum up, I think the focus on bottom up stock picking, absolute as opposed to relative performance and the all cap approach to value investing is what really sets us apart. Explain what conditions would lead you to sell a company you hold? We rarely catch the bottom or the top of a price cycle nor are we trying to. There is enough room in the middle to make money. Ideally, when one of our stocks reaches a level that we consider to be normalized in terms of earnings and valuation we will sell it. While we generally have a price target when we initially buy a stock, it is not a static number. If the story gets even better as we monitor it, the price will be increased. Also, as mentioned in one of your last questions, we will certainly sell a position if it becomes too large a component of the portfolio. On the downside, we are loath to sell a stock if there has been no balance sheet deterioration. As value investors we are typically buying stock in companies that are experiencing some type of difficulty, which has caused most of the investment community to sell in droves thus making the price attractive to us. When you buy a stock in that type of environment, it is not usual for it to continue to drop after we establish our initial position. In fact some of our most profitable investments in the past were stocks that continued to drop, sometimes 5%, 10% or even 15% after we initially bought them. If this occurs in a taxable account we will occasionally double up on the stock and sell the initial position 31 days later to take advantage of the tax loss and create a lower cost basis. We have recently instituted what we call the “30/30 rule”, if any of the stocks drop 30% below our average cost basis, relative to the market, and long-term debt is more than 30% of assets we will automatically sell, regardless of whether we still like it. Once sold, the stock cannot be reviewed for repositioning for at least 90 days. We view this as a safeguard against fraud. Who are the other principals in your firm and what are their job functions and backgrounds? Joshua Schachter and Nathan Snyder are my Co-Portfolio Managers. They both hold CFA designations and MBA degrees and have extensive stock picking experience. While they are responsible for idea generation along with me, I have sole discretion regarding what stocks are bought and sold in the portfolios. In addition to Josh and Nate, we currently have a staff of 3 research analysts who do background research for us on industries as well as specific companies. 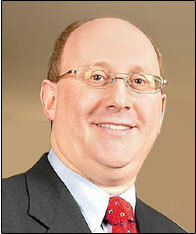 Carl Vuono is the firm’s Chief Operating Officer and is responsible for the day to day operation of the firm. Carl joined us from the private equity world and has a background in managing companies in various industries. Dan McNichol and David Williams oversee the sales and marketing effort. In addition to these people we have over 30 others who work in various capacities in trading, operations, marketing and compliance. How were you able to do so well during the late nineties when most “value” managers under-performed the averages? First of all, as I have previously stated I believe that our all cap approach is largely responsible for our out-performance since I started the firm. Also, we don’t look at value as an industry specific issue, as I believe many value investors do. In other words many value managers would look at technology, for example, and say as a group no tech stock can be a part of a value portfolio because of the inherent over-valued state of the whole sector. We do not take this approach. We will buy a stock in any sector or industry group if our process identifies it as a good value opportunity. Another important difference is that we view value on a relative basis where as many of our peers approach it from an absolute point of view. If a stock deserves a valuation of 30 times normalized earnings and it is trading at 15 times that potentially becomes an attractive buy for our portfolio. Many value investors will not touch a stock if it is not at or below a certain multiple, regardless of the circumstances. What is your target market for new accounts? We view that issue more from a relationship perspective than an account perspective. While we currently have several thousand separate accounts we only have a couple of hundred relationships. This is because we have chosen to partner with financial advisers and consultants and market through them. We view the adviser as our client. In fact, with the exception of friends and family, we no longer accept direct accounts unless they are institutions. Given that approach, we currently have a very manageable number of relationships. About a year ago we launched a mutual fund, called the Snow Capital Opportunity Fund, which we are also marketing through financial advisers. That format should be much less taxing from a trading and operations perspective and allow us to manage even more money for more people than we originally thought when we were primarily a separate account shop. We really don’t see very many limitations for future growth. Where would you like to see your firm in five years? Well, in the last 4 years we have experienced some tremendous growth. We have gone from just over $250 million in assets under management to just under $7 billion during that period of time. It has been a challenge, but I am very proud of the organization we have built. During that same period we have gone from under 10 people to almost 40. I think we have built an excellent team of qualified and dedicated people. We have done a good job of anticipating growth and building out ahead of it. This has allowed us to handle the growth we have had without any real difficulties. Given that we are hoping to grow the firm going forward primarily through the mutual fund, we should not have to add a significant number of new people, which has always been my primary concern. I would say that if you fast forward 5 years and we are managing somewhere between $10 and $15 billion with roughly the same head count, and if most of that growth has come through the fund, I would be pretty happy with that progress. The Sector Allocation, Capitalization Weightings and Top Ten Holdings are presented to illustrate an example of the sectors and securities in which the Snow Capital Management All Cap Value Composite was invested on June 30, 2007 and in which an individual portfolio might have been invested at that time. These illustrations may not be representative of the Composite's or an individual portfolio's current or future investments. There is no assurance that any of these stocks or sectors will be purchased in the future or are currently held in the portfolio. The stocks identified in the Top Ten Holdings chart do not represent all of the investments held in the portfolio and are presented as supplemental to a full disclosure presentation, which is available upon request. The Composite's Sector Allocation, Capitalization Weightings, and Top Ten Holdings may change at any time. It should not be assumed that any investment was or will be profitable. Past performance is not indicative nor a guarantee of future results. Snow Capital Management will provide a list of all recommendations made within the past year upon request.